The European Commission welcomed the news from Chisinau that Moldova had swiftly ratified its association agreement (AA) signed five days ago. The AA is coupled with a so-called “Deep and Comprehensive Free Trade Agreement” (DCFTA). “This decision […] clearly shows the determination of Moldova to break from the past and create new opportunities and bring tangible benefits for its citizens”, said Commission spokesperson Jonathan Todd. The Commission is looking forward to the provisional application of this agreement by autumn, pending the full application of the agreement pending its full ratification, when EU countries and the European parliament will ratify it as well, Todd said. Situated between Romania and Ukraine, Moldova has no border with Russia, and fears Moscow might impose visa requirements on Moldovan citizens working in Russia, or extend a ban on imports of Moldovan wines to include fruit and vegetables. It is also heavily dependent on Russia for energy supplies. Moldova is also concerned that Russia could foment unrest in Transnistria, a Russian-speaking strip of land running down Moldova’s eastern border with Ukraine where opposition to the pro-Western policies of the Chisinau government runs strong. 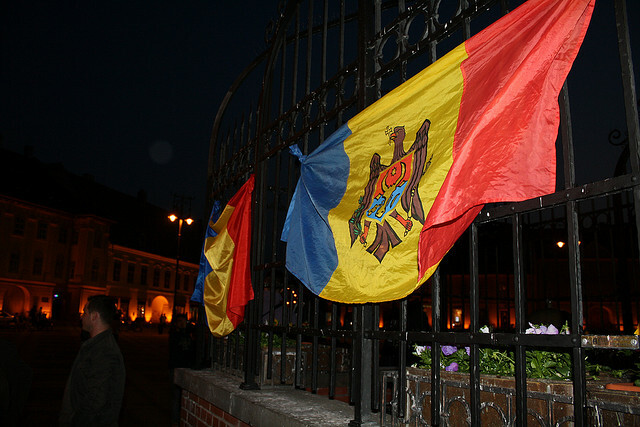 The media reported that the ratification vote in the Moldovan parliament was 59 to 4 votes. Under Moldova’s laws, a simple majority of votes — 51 out of 101 — was needed to ratify the AA. Lawmakers with the ruling Pro-European Coalition, who has the majority of seats in the parliament, supported the association accord. Thirty-eight opposition deputies from the Party of Communists and Vozrozhdenie (Revival) party left the parliament in protest. Following the parliamentary elections held in 2010, the Communist Party (PCRM) is the largest faction, with 42 MPs, followed by the Liberal Democratic Party of Moldova (PLDM) of Prime Minister Iurie Leanca, with 32 seats, and the Democratic Party of Moldova (PDM) of Marian Lupu and the Liberal Party (PL) of Mihai Ghimpu with 12 seats. PDM has observer status in the EPP political family, PCR has observer status with the Socialist International, and PL is affiliated to the liberal ALDE party. A “Coalition for a pro-European Government” of PLDM, PDM and some liberals is supporting the cabinet. New parliamentary elections are due on 30 November. The Russian press writes that Moldova’s aspirations of closer ties with the European Union are met with mixed feelings within the country. According RIA Novosti, surveys have shown that half of the population opposes European integration due to expectations of negative economic consequences from the deal. On 3 July, Romania became the first EU country to ratify the AAs with Ukraine, Moldova and Georgia. The lower chamber of parliament approved the pact on Wednesday and the Senate on Thursday. Romania is the strongest promoter of the EU integration of Moldova, where Romanian is spoken. “The association agreement is an indisputable quality leap as regards the framework that was until now governing the relationship of the Republic of Moldova and the EU,” the Senate said.